“Strange, isn’t it? Each man’s life touches so many other lives.” (Clarence) – from the Jack’s Winning Words blog. Remember when you were little and your mom would take you into a shop or maybe to someone’s house and she would tell you, “Be careful and don’t touch anything”? And even though you were careful, you did touch some things and sometimes something got knocked over and some even were broken. Remember how you felt bad and maybe even cried? Did that make you stop touching things? How about touching people. Well, life can be like that. Sometimes, even though we’re being careful a relationship that we’ve had with someone else gets broken. Maybe you didn’t set out to break that relationship. Maybe it was just an accident. Then again, maybe it was something that you did knowingly. Maybe you said some things about them that you now regret. Maybe you rejected an invitation or left them off a list of people that you invited to something. Maybe you got to know more about them and discovered some things that are just too alien or repulsive to you to be masked by the things that you liked about them. For whatever the reason, maybe that relationship failed. You cannot let that failure or a few failures stop you from reaching out and touching others and allowing them to touch you. Maybe you will become a bit more guarded and less quick to open up to others, but you cannot allow yourself to become an island, set apart from others, unapproachable and cold. Man, by nature, is a pack animal. We want to belong to a pack and run with a pack. We are social animals and being social means touching others and letting them touch us. The fact that every now and then, even though we might be being careful, we break something doesn’t mean that we stop trying, stop interacting and being social. There is a term in social media circles for those who never join in the posts, but who just sign in to the group and read all of the posts. They are called “lurkers”. In real life there are always people who hover around the edges of events like dances, watching from the periphery but never joining in the dancing. They are sometimes called wall flowers. Both of these examples are classic cases of people who look but don’t touch. They are also sad cases of people who are not touched by others, because of their reticence. If you see someone like that, make the effort to reach out and touch them. They need that interaction and you may be surprised that they actually have the potential to make significant contributions to the conversation, once they are pulled out of their protective, “don’t touch” shells. In his post today, Jack wrote about the classic Christmas movie “It’s a Wonderful Life” and how the main character in the movie, George Bailey, was shown by his Christmas angel how important his life is within the lives of others – how he touched them. Like George, most of us don’t stop to consider what impact we might be having on others. In fact, most of the time we have no idea what the impact is of anything that we have done. Charity advertisers know how to plug into that feeling by showing you pictures of the people that your donation will be helping, so that you feel good about putting your dollar into the bucket. There is another ad for a breakfast food that shows the person who consumed that food spreading a smile to the many people that he meets that day. His smile is then passed on to another person and from them to yet another.is smile is then passed on to another an then from them to yet another. How nice it would be if we could see the kind word of greeting that we speak or the smile that we share being spread from person to person throughout the day. Maybe we have to use our imagination, but the ripple effect of you smile or you friendly “Hi, how are you?” does spread far and wide. There is a theory called “Chaos Theory” that postulates that all things are somehow interconnected. Under Chaos Theory the wind created by the flapping of a butterfly in China eventually has an impact on the weather in America, even though the local impact in China was minute. Perhaps the smile that you share today in America will cause someone else to smile in China a few days from now. Maybe the meal that you provide to someone in Africa today because of the dollar that you dropped in a donation bucket will be enough to sustain a child who will grow up to be a great leader in the future. Maybe the hug that you give someone who is hurting today will be enough to draw them back from the abyss and get them started back to a more normal life. Those things will never happen if you don’t reach out and touch others in some way. 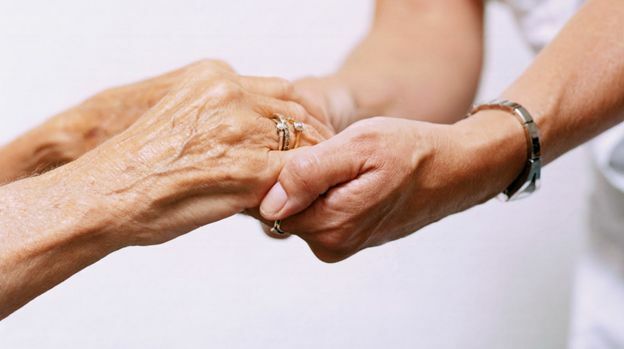 Along the way, as you reach out and touch others, you find that you are touched by others and that they have an impact on your life, on the decisions that you make and on how you feel about yourself. We all seek the approval of others, but what we are really seeking is to be touched by them – to allow our souls to feel the touch of sharing with another’s soul. The feeling that it really is a wonderful life doesn’t take place unless you allow it to happen by reaching out and touching others and them allowing them to touch you. “A pretty face will get old, a nice body will change, but a good person will always be a good person.” (Unknown) – seen recently on the Jack’s Winning Words blog. Getting old is inevitable, along with the physical changes that go along with that; however, a man or women that others might describe as a beautiful human being will remain a beautiful person in the eyes of the beholder, as long as they never stop being a good person. So, what does it take to be perceived as a “good person?” That is a simple question that is harder to answer than it might seem. They complement others when deserved. They call their parents regularly. They are kind to everyone. They are generous with their belongings. They are kind to loved ones. They make the best out of every situation. They don’t take things for granted. Maybe you don’t have all 15 traits (few probably would, especially the one about calling your parents often); but, you can still be viewed as a good person and view yourself as a good person. Most people who think of themselves as good people attribute a large part of that to their upbringing, to their parents and teachers. Many also include the influence of coaches or scout leaders or others who had impact in their formative years. For many, their church life – their Sunday School teachers and pastors – help them become good people. If you read down the list of the 15 traits of a good person you might note that almost all of the traits are expressed outwardly, towards others. The remaining traits work to bring inner peace in life’s situations. Another thing that you might notice is that none of these character traits are things that age will have an adverse impact upon; they aren’t physical abilities or attributes that fade with age. That’s why a good person will always be a good person. One might ask, “Why isn’t everyone a good person?” If you look at the list again; think about how many of those traits can get pushed aside by selfishness, arrogance or pride. How many of those things can get buried under the weight of ambition or envy. How difficult it would be to be a good person, if your life is ruled by prejudices and hate. How easy is it in the rush for material success to just ignore others; rather than being polite and caring and kind? In the back of our minds most of us know what is right, but the demands of our world often overwhelm us and the temptations are often too great for us to take the time to look back there, in the back of our minds, and see what is right. Make time for quite moments… for God whispers and the world is loud. If you make time to hear God’s whispers; you will always be a good person and that never gets old. Now, go call your mom and see how she’s doing. “Do what you can with what you have where you are.” (Theodore Roosevelt) – as seen on the Jack’s Winning Words blog recently. Have a great and action filled week ahead. “Sometimes we need someone to be there. 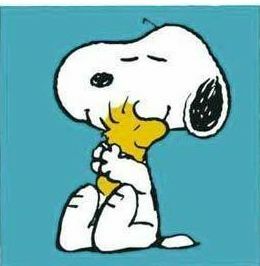 Not to fix anything or do anything in particular, but just to let us feel that we are cared for and supported.” (From a picture of Charlie and Snoopy) That little saying was forwarded to me by Pastor Jack Freed from Jack’s Winning Words. Jack is a big fan of the Peanuts cartoons, as am I. For me, today’s little saying conjures up memories of snuggling on the couch in from of a fire on a cold winter night. No words are needed and there is nothing wrong or needing fixing; however, just being there together makes us both feel that all is right with the world. There are just times when having your life mate at your side or in your arms provides a very warm feeling of completeness and contentment. I think that is what Charles Schultz was thinking about when he wrote that little saying in the Peanuts cartoon. What memories do you have of those kinds of moments? For some it might involve memories of being cradled in our mother’s arms. For others it might be time spent with a nest friend or a loved one. Whatever the moment, cherish those feelings and save them to bring up again and again as needed, when things aren’t going as we would like. Sometimes we play the role of the person who is there to provide the feeling of comfort and safety. Cherish that also. It is one of the most important roles that you will have in life. Caring and supporting others, especially in moments of need is a privilege and an honor, which we should take seriously. There is vulnerability and trust on the part of the person that you are supporting that must be protected and honored. They have let you into their emotional inner-circle, which is a place that few probably get to see. Be kind. Be gentle. Be respectful. Be the person that they believe you to be and play your role, even if it is just sitting there in silence and holding them. Don’t try to fix everything , just be there for them. Have a great and caring day.